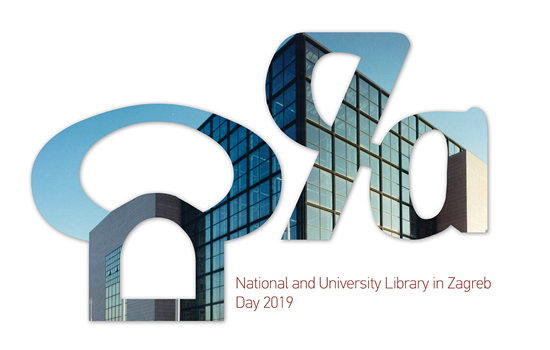 On 22 February 2019, the National and University Library in Zagreb is organising a special programme marking the anniversary of the Library’s founding, the National and University Library in Zagreb Day. Scheduled to start at 12.00, in the Library’s grand lobby, the programme will commemorate the date of the printing of the first Croatian book, Misal po zakonu rimskoga dvora, the masterpiece of the Glagolitic printing tradition whose original 1483 copy is preserved as one of the Library’s greatest treasures. In her introductory address, Director General of the National and University Library in Zagreb Tatijana Petrić will present the Library’s activities during 2018. The 2019 NSK Day celebration programme will include the announcement of the winner of the 2018 National and University Library in Zagreb Award and the presentation of certificates of appreciation to the Library’s partners in its Croatian Glagolitic Heritage project, the winners of the Library’s competition promoting a wider digitisation of the Croatian library collections (Baština na mreži: izradi virtualnu izložbu u NSK), and the Library’s associates in the preparation of its virtual exhibitions thematising Faust Vrančić, Croatian communities in Italy between the 15th and 18th centuries (Vizualiziranje nacionalnog: Skjavonske/ilirske bratovštine i kolegiji u Italiji u zbirkama NSK) and Marko Marulić. The celebration programme will also include a musical performance by the Trio Zorje ensemble. The celebration of the National and University Library in Zagreb Day is traditionally ushered in by the Library’s Doors Open Days programme, this year organised on 20 and 21 February, when the interested visitors may take a guided tour of the Library, learn first-hand about its collections, services and activities, and take part in specially prepared attractive programmes. This year’s celebration will include the first marking of the recently established Croatian Glagolitic Script Day (Dan hrvatske glagoljice i glagoljaštva), which the Croatian Parliament declared the national day dedicated to this gem of Croatia’s cultural heritage and the symbol of Croatia’s national identity precisely on 22 February, the day of the printing of the first Croatian book and also the day of the Chair of St Peter, which has been observed since the 4th century in celebration of the unity of the Church built on the apostle Peter. This precious incunabulum, Misal po zakonu rimskoga dvora, whose place of publication and publisher have not been established, is the first European book not printed in the Latin alphabet, but the Glagolitic script.